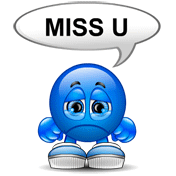 Do you miss someone? This smiley is sad and wishes you were nearby! 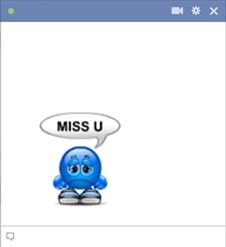 Send this smiley in your Facebook message or chat when you want to tell you significant other that you’re really, really missing them around! They’re probably missing you too! Our colorful and eclectic smileys will always help you convey exactly what you’re feeling! Post to a timeline and share the fun!